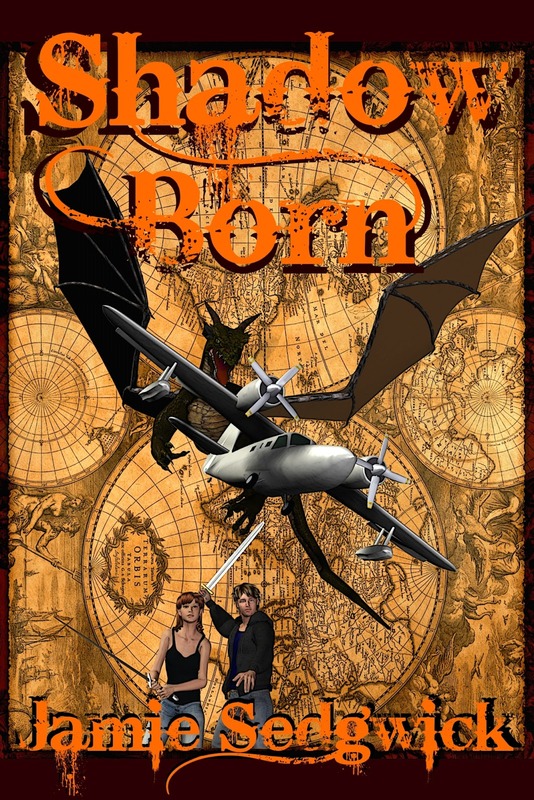 First, the giveaway: Shadow Born, the first title in the Shadow Born Trilogy will be available free for one day on Amazon Kindle (Wednesday). I've had such success with the Kindle Select program that I've decided to make regular (but not frequent) use of the giveaway promotion. In this case, I'll be giving away Shadow Born to encourage sales in the entire series. My experience thus far has led me to believe this is a sound tactic, so long as it's not overused. My concern is that with so many authors now giving away so many titles, the summer slump is going to be more like a swan dive... more on that below. My first experiences with Kindle Select have been very exciting. I've already blogged about the way The Tinkerer's Daughter was downloaded 2,000 times in a single day. This led to massive growth in sales, and led to broad sales growth across the rest of my titles. Since the giveaway, the initial jump has trickled off considerably, but I'm still on track to sell 1,500 books this month. That's more than double my best month prior to Kindle Select (when I sold about 700 titles in December). I did hit a slowdown in January, but the rejuvenation I experienced from Kindle Select boosted my sales for the month to over 1,000. In February I did another experiment, this time giving away my thriller. I gave it away for two days, hoping for a little better exposure than I got with Tinkerer. I never would have imagined that I'd give away 14,000 copies.. but I did. Despite the massive flurry of downloads, that title only peaked briefly at about 50 sales per day and then trickled off. I believe part of this is due to the fact that I only have one other offering in that genre, which is a short story. Sales of that short have jumped as well, but it's just a $0.99 short so it doesn't count for much in the profit arena. However, this was just an experiment. I wanted to see how the giveaway would affect future sales of the thriller. Just like with Tinkerer, they peaked and then trickled back. Not unexpected, and a valuable proof of theory. On both counts, sales still remain higher than they originally were proving that Kindle Select is an effect means of advertising. Across the board, I was selling more than 150 books a day for about two weeks. That was nice, but now I'm selling 50 per day on average (on some days, 20). Still better than before but not where I want to be. I know that doesn't sound terribly optimistic but the fact is, going from a few hundred sales per month to 1,500 sales is phenomenal growth. The difficulty I will face now is the plunge in spring sales that seems to hit this business especially hard. February thru June are notoriously tough for e-book sales. Last year, I managed to buck the trend with slow, steady growth all year, but last year I was selling much smaller numbers. Going from 4 sales per day one month to 6 the next month is growth, but not massive. This year it may be a struggle just to hang on to my 1,500-2,000 sales. I'm counting on Kindle Select to be my ace up the sleeve. The giveaways may cannibalize some future sales but I have enough of a library to entice some of those buyers back for different books. I've already proven this with my experiments. Plus, I'm producing new titles regularly. My approach for this summer, assuming nothing else changes, will be occasional giveaways and a steady stream of releases. I have already written books Two and Four of the Hank Mossberg, Private Ogre series. I have some details to work out before I write book Three, but I'm very excited to write it and I think it will be the best of the four when it's done. Sometime in March or April I will work on my revisions to book Two and publish it before summer. If things go well, all four books in the series will all be live by December. I have also just released Shadow Rising and hope to finish the final book in that series either this year or early in 2013. I'm working on the sequel to The Tinkerer's Daughter right now, which I'm hoping to release before the end of summer. I will have the first draft done by then, but I won't sell the product unless it's polished. That means time. How much time remains to be seen. I won't release the sequel until it lives up to and hopefully exceeds the first, which I don't need to remind you is my best selling title across the board. Because of the subject matter and the feelings that so many readers have developed for that character, I would be remiss to do any less. If I have the time, I'd also love to write a couple of mystery/thrillers that I have outlined. The greatest problem at this stage is finding the time. I have real-world work and responsibilities that make it difficult to launch a new career. Writing takes time, not just in the initial production but in finessing a good book out of a rough draft, and then doing the publishing work that inevitably follows. Amazon has made this inexpensive and easily within reach of anyone, but my best hope for success right now is in being prolific. One book does not a career make. The eleven titles I've published in the last year are a good start, but still no guarantee of a living wage. One thing I've learned from successful Indie writers like Joe Konrath and Dean Wesley Smith is that writing is not a short game. It's about building a library, about casting a wide net - not only by being prolific, but by writing in different genres and testing new boundaries. I don't think I could ask for better advice than that, and I'm doing my best to follow it. Believe me, if I could have 30 titles out right now instead of 11, I would. As I close, one irony comes to mind that's slightly off topic but I'd like to share it anyway. One year ago, Indie authors who had started ahead of me were all over the boards announcing that they had surpassed 1,000 sales in a single month. There were threads and blog posts and newspaper articles examining this phenomenon. It really was the turning point when self-published became Indie and literary "failures" became Indie superstars. Well, it's a year later and now those threads are gone. This year, I've surpassed 1,000 sales for two months in a row. If sales had remained at their peak, I could have sold over 4,000 in February. Alas, for now I'm merely a 1,500 a month writer. And the forums are now full of writers who have surpassed 50,000 sales. Hmph. I know I'm riding the wave of a new movement, and that this moment in time will go down in history, but I still can't help but feeling like I'm behind the curve. Ah well, here's to next Christmas. Maybe then I'll have 50,000 sales and everyone else will have ten million. I just came across this new Author's Guild post, courtesy of the Passive Guy. The article is entitled, "Amazon, innovation, and the Rewards of the Free Market." Sounds pretty benign for an article that goes on to basically say Amazon is Satan. Were I to believe the Author's Guild, I might suspect that Amazon is a freedom-destroying behemoth that wants to turn your children into slaves rather than an effective free-market warehouse (like an online version of Costco or Walmart) that cleverly manages to sell just about everything, to just about everyone. "We aren’t Barnes & Noble’s champions, or at least we aren’t their champions by choice. We’d favor a far more diverse and robust retail landscape for books, and we encourage all readers to patronize their local bookstores as they would their farmers’ markets or any other businesses that enrich the quality of life in their towns and neighborhoods. But here’s where we are: Barnes & Noble is book publishing’s sole remaining substantial firewall. Without it, browsing in a bookstore would become a thing of the past for much of the country, and we would largely lose the most important means for new literary voices to be discovered." Note that last line: "..we would largely lose the most important means for new literary voices to be discovered." Where should I start? Is there anyone alive that doesn't know yet that tens of thousands of writers have published through Amazon without the benefit of a publisher? And that most of those were never published by legacy publishing houses for one reason or another? Is there anyone who can successfully argue that B&N played any role whatsoever in the discovery of new literary voices? To the contrary, B&N has enjoyed mutually exclusive relationships with publishers that allowed them to drive independent bookstores and small publishers out of business by the thousands. Big 6 publishers have dominated a landscape where bestsellers were created, not discovered, and new voices rarely appear at all, unless this year's new favorite celebrity or up-and-coming politician has decided to pen (read: farm out to ghostwriters) a new memoir. I don't consider those new voices. Do you? Apparently the Author's Guild does. And what about this idea: People like bookstores. Would the absence of Barnes & Noble mean the end of brick and mortar stores forever and ever and ever as the Guild would have me believe, or would it actually create an opening for hundreds or thousands of small, independent, niche-based bookstores? Doesn't the absence of B&N make it easier to run a small bookstore? It does in my world. And despite the growing dominance of e-books, I have a feeling some of us will ALWAYS want to browse bookstores and go home with something on paper now and then. Does Barnes and Noble really make that easier for us, or did they somehow manage to limit our choices and then tell us they were victimized by Amazon who gave us those choices back? Do I even need to add here that, as a writer who currently sells about 1,500 books a month, I don't even qualify to join the so-called Author's Guild? How many books do you think I need to sell? 5,000? 10,000? Don't bother guessing because it's not possible. The Author's Guild only accepts members who've been traditionally published by legacy publishing houses (read the Big Six.) They're not alone here. I can't join the Mystery & Thriller Writers of America or the Writer's Guild of America either. But right now I'm looking at AG and wondering what they offer that I would need. In fact, I'm wondering why they're called the Author's Guild in the first place, when based on their statement in this article, they're not really looking out for author's interests at all. "Ah, farmers markets. If the whole world would just patronize farmers markets and buy plug-in hybrids and quit paying attention to Amazon, wouldn’t all authors be better off? Maybe we could collect our royalties as bushels of organic spinach." 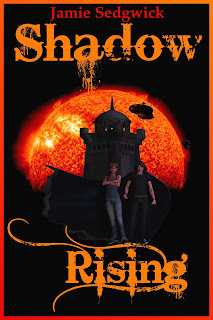 Shadow Rising, book two of the Shadow Born Trilogy will be available February 14 is available NOW! Teenage assassin Gabriel Frost is back, and this time he’s going to find out the truth about his mysterious past. It’s been one year since the events of Shadow Born and Gabriel has settled into his new life at Winschfield Manor as a field agent for the Top Secret organization known as D.A.S. Gabriel is on his first solo mission when something goes horribly wrong and the shadowfriends escape not only with hostages, but also with a rare and unusual relic -an ancient gemstone statue. Gabriel soon learns that the shadowfriends are collecting the statues because the artifacts have immense power, power that could change the world forever. But before D.A.S. can act, the Shadow attacks. Reeves and Julia are gone and the children are taken captive by a secret government agency. To make matters worse, Gabriel’s powers are growing rapidly and he can’t seem to control them. Just when his friends need him most, Gabriel may not be able to save anyone - not even himself.